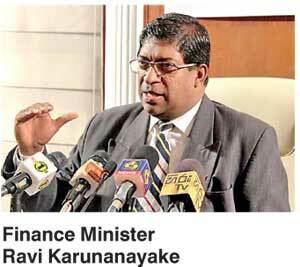 Finance Minister Ravi Karunanayake yesterday stressed that funds allocated to provincial councils by the Central Government through its Budget 2017 had not been reduced. In a statement released by his office, the Minister claimed that there was no basis for the charges made by certain provincial council chief ministers that Budget 2017 had curtailed the amount of money allocated to provincial councils compared to previous budgets. The Minister’s statement however highlighted that the system of allocating funds to provincial councils had changed where a portion of the funds were now sent directly to line ministries. “Accordingly, provincial councils will be unable to use government funds for wasteful activities such as foreign trips and such valuable money will be used to provide necessary public amenities in the province,” the statement read. At the same time, regular funds will be provided to provincial councils as in the past but other funds have already been allocated to line ministries according to the requirements of such ministries. In addition, vehicle registration fees, stamp fees, court penalties, local government taxes and different types of revenue other than taxes collected by local government institutions will not be deposited in a consolidated fund. They will be deposited in the Provincial Council Fund instead.